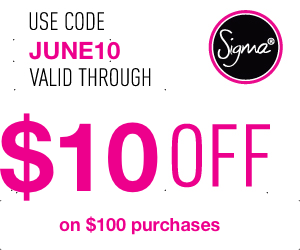 Take 10% off Sigmabeauty.com when you use coupon code JUNE10 at checkout. You also get a free gift when you purchase 30$ of more worth of product. Get 20% off the Sigma F45 Buffer Brush when you use code BUFFER20 Limited time only. This is a good deal!! Would you like to follow each other?